and used Poll Everywhere to compile one of those word diagrams where the most common word was the largest — and that word was impossible. This prompted an interesting discussion where people responded in the main positively. It was cool, it was endearing, it was inspirational. However, as I pointed out, at it’s core it’s about not being what you are. It’s not about the ostrich being the fastest and best ostrich it can be, instead it’s about the ostrich not being what it is or, perhaps more accurately, being more than what it naturally is. “A certain flock of geese lived together in a barnyard with high walls around it. Because the corn was good and the barnyard was secure, these geese would never take a risk. One day a philosopher goose came among them. He was a very good philosopher and every week they listened quietly and attentively to his learned discourses. ‘My fellow travellers on the way of life,’ he would say, ‘can you seriously imagine that this barnyard, with great high walls around it, is all there is to existence? I tell you, there is another and a greater world outside, a world of which we are only dimly aware. Our forefathers knew of this outside world. For did they not stretch their wings and fly across the trackless wastes of desert and ocean, of green valley and wooded hill? But alas, here we remain in this barnyard, our wings folded and tucked into our sides, as we are content to puddle in the mud, never lifting our eyes to the heavens which should be our home. The geese thought this was very fine lecturing. ‘How poetical,’ they thought. ‘How profoundly existential. What a flawless summary of the mystery of existence.’ Often the philosopher spoke of the advantages of flight, calling on the geese to be what they were. After all, they had wings, he pointed out. What were wings for, but to fly with? Often he reflected on the beauty and the wonder of life outside the barnyard, and the freedom of the skies. Kierkegaard used this to talk about the church, but Pete suggested that it might be helpful to think about this in relation to technology too. This segued nicely into some theology of God as the God who speaks, as the Logos. Before John wrote about the Logos, Plato wrote about thinking and the development of arguments. Socrates said that writing was bad and would be the end of true knowledge. 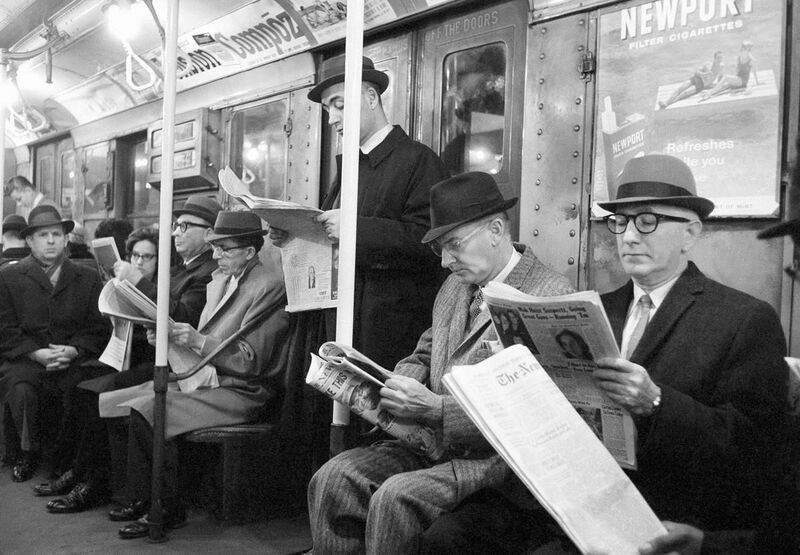 The reluctance to embrace technology is nothing new. Pete the expounded his understanding of the imago dei and how this makes us inherently communicative and relational creatures. This remains true, but technology often seems to shut us off from one another. However Pete thinks that this is nothing new; look at this picture for example. Or think about how easy it is to get lost in a book. For Pete, all of ‘this is a technological shift which started in the garden of Eden’. The room then had an interesting conversation around the nature of communication. Is silence communication? If the image of God is relational, does that mean God can’t help himself but speak? Is the difference between thought, spoken and written word one of degree or ontology — for Pete it would seem to be one of degree. One principle of technology which McLuhun espouses which is relevant here is the idea that developments in technology are always about extending our ability to perform an action. A bike lets us go further, a telephone lets us communicate over further distance etc etc. This has resulted in a shift in culture of communication. We are in the transitional phase between a top-down hierarchy — one person speaks from a stage or a platform and the others listen — to a more horizontal, interconnected and egalitarian mode of communication — through social media and so on. Communication, simplistically, works like this diagram. However for it to work effectively there has to be an overlap between the experience of both the Sender and the Receiver. Pete used the example of people speaking in different languages being a non-shared experience which hinders communication. In order to communicate effectively we have to encode our thoughts in language in such a way as to be decoded by the hearer. Last night in our session on Do AI have Souls we had a dis-communication. Pete intended to ask ‘Is God interested in non-human sentient beings, such as AI’ but the way he phrased the question — Do AI have souls? — meant that the systematic theologians in the room, myself included, took the conversation off in a different direction. This was a perfect example of the process of encoding and decoding which happens during our communication. The underlying principle is that because we’re communicative relating people our words don’t need to contain the perfected meaning (and in fact can’t), but rather need to forge a connection between our common experience in such a way as to promote a dialogue of clarification and explaining. The example given was that of a sermon. A sermon doesn’t need to be completely understood, but should inspire a hearer afterwards to come up and say ‘tell me more’. As we think about digital communications one of the main questions we need to engage with is the question of the speed of communication. In the rime of Robin Hood (stories) there were roughly two million people in the UK. Now we have over 2.55 million people in Manchester alone and everyone is interconnected via the internet. In Humans last night we saw that an android responded to a question of overclocking by saying that it could damage or impair their ability to process. Pete wonders if we might experience something similar with the rapid pace of our communications now. This prompted some interesting reflections. The purpose was to contrast this video with the Samsung Ostrich Advert at the start. One is emotional, inspiring and engaging. The other one is the Church of England. Prev Post: #MediaLit17 Chronicles 5: Could AI have souls?